Bulbous perennial forming clumps of erect, inversely lance-shaped, glossy green leaves up to 30cm long, from fairly large, lily-like bulbs with yellow scales. 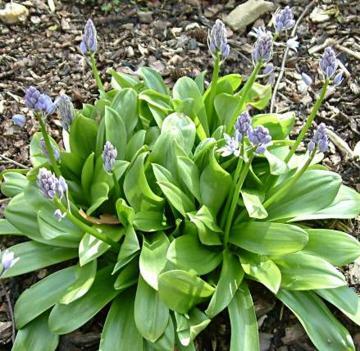 Dense conical racemes of star-shaped, bright lilac-blue to purpleish-blue flowers. 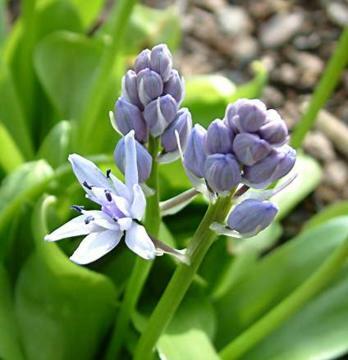 Plant bulbs in late summer or early autumn, about 8 to 10cm deep. Reasonably fertile, preferably humus-rich, well-drained soil in full sun or part shade. Prefers cool conditions. Native to southwest France and Spain.